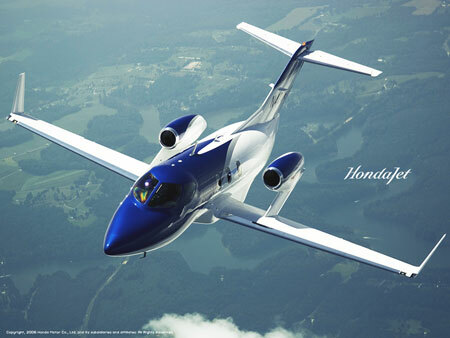 HondaJet Sends Honda's Car Design Philosophy Sky High! Not a flying car, but something even better! Japan's Honda Motor Company Ltd., is taking to the air! Taxiing down the same runway used by other carmakers such as Saab, Rolls Royce, Ford and BMW, Honda sees the innovative new HondaJet as a natural progression of the company's efforts to fill every transportation niche. This time, the sky's the limit! 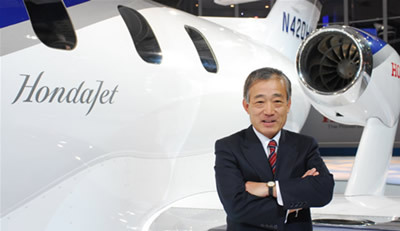 First announced in 2005, the $3.65 million HondaJet has garnered enough orders to enter dedicated production and the first deliveries to customers are expected to be made in 2010. The plane facts? 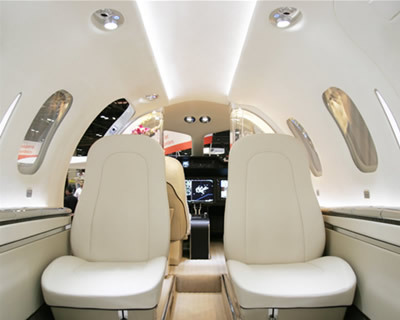 This good-looking jet holds up to 8 passengers and crew, and has been designed to match or surpass its Very Light Jet (under 10,000 lbs.) competitors in the areas of fuel efficiency, cabin and luggage space, and cruising speed. One immediately noticeable feature of the HondaJet is the placement of its twin jet engines - over the wings instead of being mounted at the tail or slung beneath the wings. What's not visible is the extensive use of carbon fiber and composite materials instead of steel and aluminum. 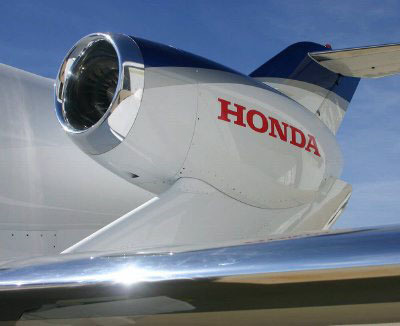 Honda is teaming up with long-established American small plane company Piper Aviation to provide sales and service for the HondaJet. All management, production and delivery activities pertaining to the HondaJet will be centered on the new Honda Aircraft Co. world headquarters and facilities located in Greensboro, North Carolina. Does The New Occupy T-Shirt Support the 99 Percent Or The 1 Percent? How is the fuel mileage?